Now in its seventh annual edition, the Lay of the Land Market Report continues to be the single source compiling verified Florida land sales data to evaluate market trends throughout the year. We provide data to landowners that can be accurately interpreted and applied, leading to more informed, relevant decisions. Targeting ten property types in our report, we work diligently to capture all land sales for each category. We partner with a network of appraisers and land professionals to vet the data and bring you accurate information. 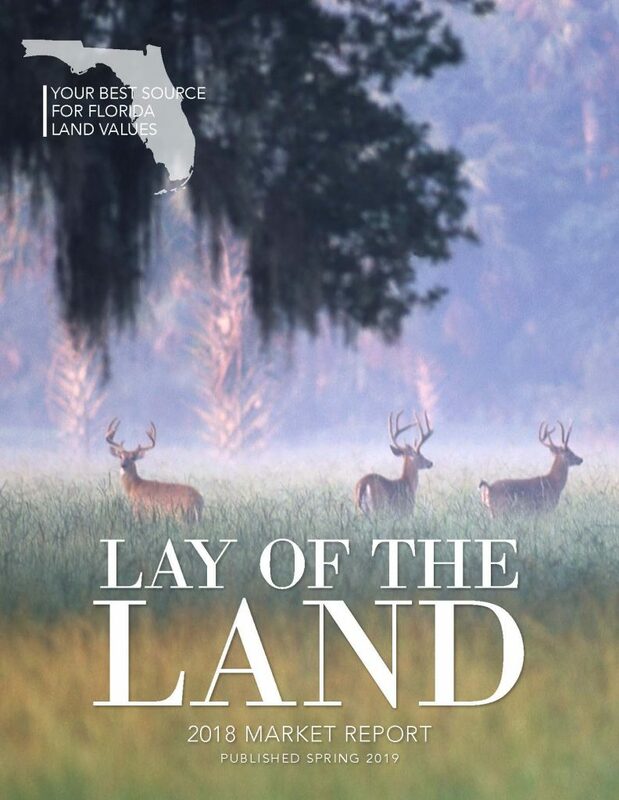 The result is the most comprehensive view of Florida land values in the industry today. Even as we continue to improve the process of our data collection, we remain committed to the privacy and anonymity of individual landowners when illustrating transaction information. No buyers or sellers are listed in this report.